Anticipating tough fight from the upcoming JioFibre Home Broadband service, Bharti Airtel has announced new Data FUP’s for its range of Broadband Plans across India. 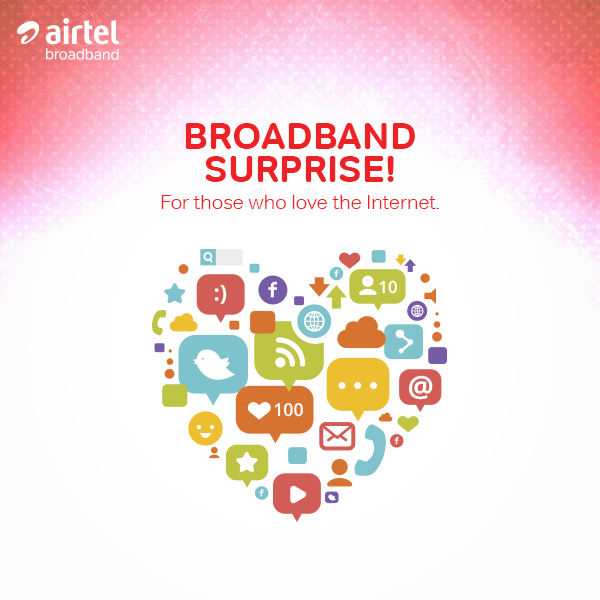 Existing Airtel Broadband customers would now get up to 100% more data benefits within the same monthly rentals. Bharti Airtel has been upgrading its network since past few months. As part of this endeavor, Bharti Airtel had introduced V Fibre Broadband Plans that offers consistently super fast broadband speeds of up to 100 Mbps to users. Also Airtel has last month launched Android powered Airtel Internet TV which converts your LED into a smart TV. As a promotional offer, Airtel is giving 25 GB per month data to every Airtel Internet TV customers. Airtel’s existing broadband customers would be moved to these newly announced Higher Data FUP’s within the current bill cycle, user can check their data on MyAirtel App. New customers opting for Airtel Broadband Connection would have to choose from the higher data right away.